Honestly with my work it’s required to have a link or some form of way to access this website so that i can see my schedule. 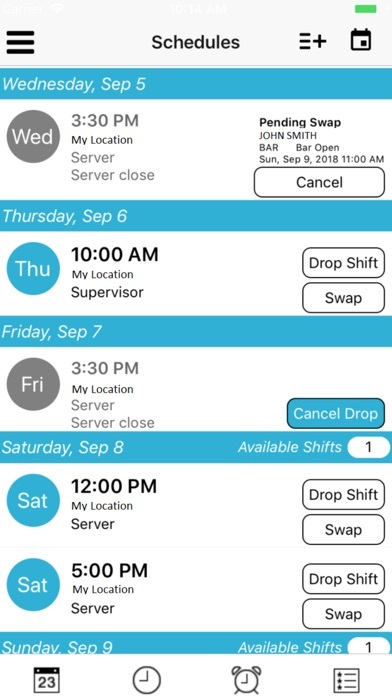 But this app almost makes me wish we could use hotschedules or borderline switch jobs. There’s multiple times where I’m force logged out and forced into reseting my passwords, Do the password right and am still locked out, Along with multiple other bugs. The problem is this isn’t some game on the app store, this is a work related app and effects my lively-hood. 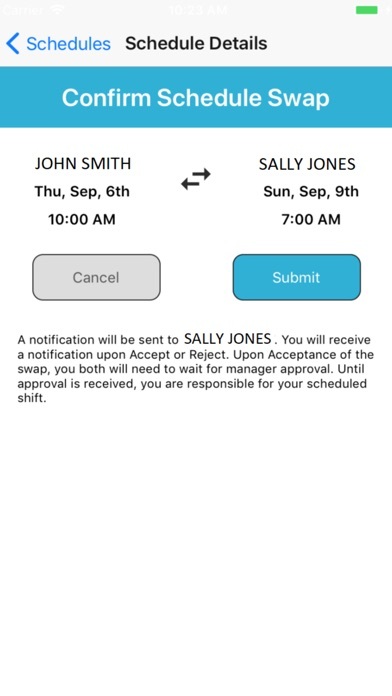 If this app screws up and i can’t find my schedule in time i could be considered a no call no show and lose the job. This app along with the website have failed me many times, over all i advise against it. At the very least if it’s required like it is for my job, please don’t waste your time or money on the app. A normal case scenario you have to call in and find out yourself making it useless, and as i said before, worst case you’re looking for a new job. If i could give it no star i would. Ive had nothing but problems wasted 3 hours just trying to sign into it and all i want is to see my schedule. Nothing is working. Nothing. Cannot even contact tech support. 1 star is generous. Since they revamped the software I’ve had nothing but problems. 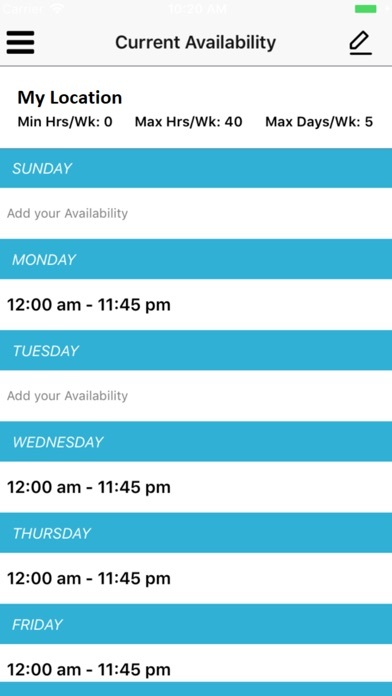 Can not view my schedule, have to go online, the site recommends I buy the app to view, I did and it’s worthless. The few times, and seriously, the few times I’ve been able to see my schedule it doesn’t sync to my calendar. New look is confusing on days you work. You can not ask for more than one day off at a time, you have to ask for each day off, instead of from 1-5 off. I think it’s absolutely pathetic that I had to spend money to download this app because the website continues to glitch and not allow you to load it/log in, and the app is borderline worthless. 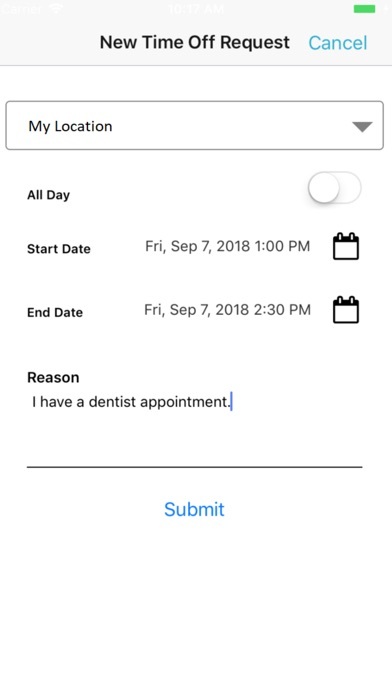 It has my schedule on there (which is on the email I get as well so no bonus points for that), but it doesn’t lay out a clear way to contact managers which is the number one thing I wanted. It’s also not very user friendly. Don’t waste your money. The schedule won’t load, settings won’t load, staff list won’t load. I paid for this? Why! The website doesn’t even work! Please update and allow us to sync with our calendars in our phone!! I just did the most recent update, and now when I go to the “Scheduled Employees” section, and try to search any day at all to see who I work with, it says I work the shift I worked today. No matter what day I choose. Though on my main “schedule” page, it says differently. That could seriously cause issues and cause employees to show up for the wrong shifts / not show up at all. The fact that I had to PAY for this app to view my schedule you would really think it would be a better less confusing system... please fix this.